Alcoholism is a very serious chronic disease. For some people, the signs are obvious because they grew up in families where alcohol was a prevalent way of life. For others, certain stresses and situations have led them from sipping a single cocktail at dinner to consuming a bottle of wine in the comfort of their own home. It’s not always easy to recognize that you have a problem with alcohol; sometimes, it can slide into your life without really showing strong signs that anything’s amiss. Alcoholics often think of themselves as “social drinkers” before they come to terms with their alcohol dependence. 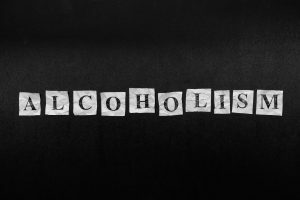 Family members and friends often realize there’s a problem before the alcoholic does, which means interventions may be the only reason some people come to an understanding they need help. When an alcoholic is faced with coming to terms with substance abuse, it’s typically a frightening realization. Fortunately, there are many programs designed to help addicts and family members cope with this situation, walking them through the process at each step of the way. Once you’ve come to terms with the fact that you need help, it’s time to consider a rehabilitation facility that fits your needs. Each program is different, and it’s important to choose a place where you feel comfortable and supported in order to ensure your successful recovery. Finding the right facility isn’t easy; every place will claim it’s the best and brightest, making the decision process even more complicated. As DUI attorneys in California, we know how difficult the rehabilitation process can be. In hopes of facilitating your journey of finding a place that will bring you into full recovery, we’ve created this guide. There are many people and organizations who want to see you succeed in life. If you’re struggling with alcohol addiction, it’s typically tough to admit that you have a problem. Rest assured, people who want to see you get better won’t judge you; they’ll simply offer a helping hand that gets you to the next stepping stone of life. Maybe you haven’t been to church since you were a little kid; maybe you’ve never stepped inside a church. It doesn’t matter. Church ministers are there to help anyone, anytime. They’re educated counselors whose main mission is to have your best interests at heart. They’re well-connected with the community, meaning they can offer up a number of resources on short notice, and your conversations with them are typically held in strict confidence. Because they’re usually the center of their communities, church ministers often have the means to expedite willing addicts’ recovery processes, as they can reach out to a number of professionals and organizations at a moment’s notice. Don’t be afraid to visit a church. Your well being is all that matters to those who teach kindness to others. If you have a family doctor, he or she can probably provide you with a solid assortment of options. Of course, it’s easier to talk to someone you’ve been seeing for years, but if you haven’t had a checkup in a while, and you don’t have someone you’d refer to as your family physician, find one online or through your health insurance website (if you have health insurance). Doctors are trained medical professionals. Even if you’re a brand-new patient, they’re not there to judge; they’re there to help. The insights they’ll give you can be invaluable as you embark on your road to sobriety, so take heed of their advice and be open to the things they have to say. The treatment varies from place to place, but most hospitals are equipped with plenty of knowledge that can send you in the right direction. Check with your local hospital to see what type of recovery programs they offer in-house. Be sure to ask if there are area organizations they’d recommend, too. They’ll probably be able to refer you to designated rehab programs, facilities, and professionals to meet your unique needs. Addiction is something nobody should go through alone. There are many people struggling with alcoholism, and the easiest way to overcome your own obstacles is to connect with people who have already been in your shoes. AA is run by people who have already been in your shoes, so they understand the difficult struggle you’re going through. The goal of AA is to teach its members long-term sobriety solutions, enabling people to lean on each other when they’re in the throes of stresses and struggles. AA uses a 12-step process to help addicts understand where they’re coming from and who they can be, one day at a time. There are chapters located all over the world, and addicts from all walks of life are welcome to attend meetings. Addiction is hard on everyone, including your family members. As you seek treatment, your family may be left feeling confused, isolated, or angry. Al-Anon is an organization that was founded to help family members of organizations overcome their own obstacles, so you can get back to being the unified unit you once were. Al-Anon is a place where people understand. That’s an important part of the healing process for you and your family. Providing the people you love with this safe place will enable you to reach your own goals with greater support. Similar to AA, SMART Recovery enables collaborative sobriety breakthroughs by way of face-to-face meetings. SMART is a place for people with all kinds of addictions (not just alcoholism), and it offers alternative ways of communication such as online meetings, message boards, and chat rooms. SMART focuses on a four-point system, empowering addicts to realize their strengths and skills as they overcome their addictions. Women often feel an additional burden when it comes to addiction. There’s no reason to be afraid when you’re seeking help, but if you would find the presence of only women more comforting, there’s a place for you. Women for Sobriety was founded in 1975 and has successfully been helping women free themselves of addictions ever since. Funding is very individualized, depending on your income, insurance, and personal needs. Support groups and treatment programs often require payment of fees to continue their operations. If you have insurance or Medicare, some or all of your treatment may be covered. It’s best to speak with your provider before finalizing decisions to ensure you’re not faced with an unexpected bill as you begin your recovery. If you’ve been charged with a second- or third-time DUI, the court may look favorably upon your entry into an alcohol rehabilitation program. If you do so voluntarily, before your court date, your DUI attorney can use this as favorable leverage on your behalf. Jon Artz wants you to receive the best possible outcome from your case. Reach out to Jon if you’ve recently been arrested for a DUI.